You are here: Home / Blog / General Information / Pumpkin Spice Latte? 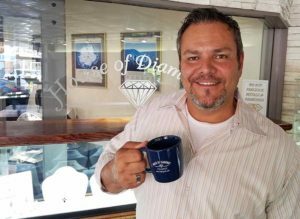 House of Diamonds Coffee Mug! It’s that time of year when lots of people are excited about pumpkin spice lattes. 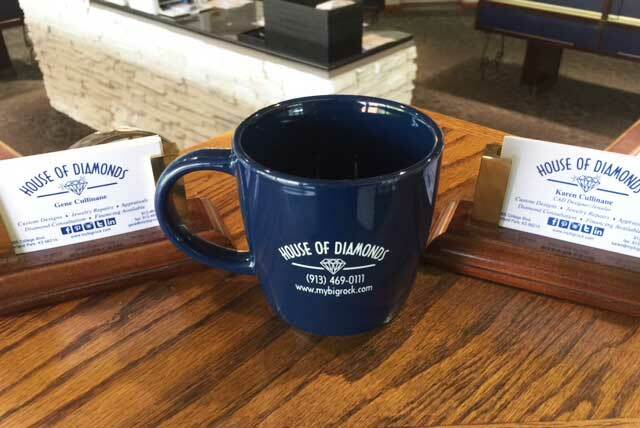 We received another batch of House of Diamonds coffee mugs just in time to hold your favorite hot beverage. Be sure to come into the store to get your very own HOD Mug! 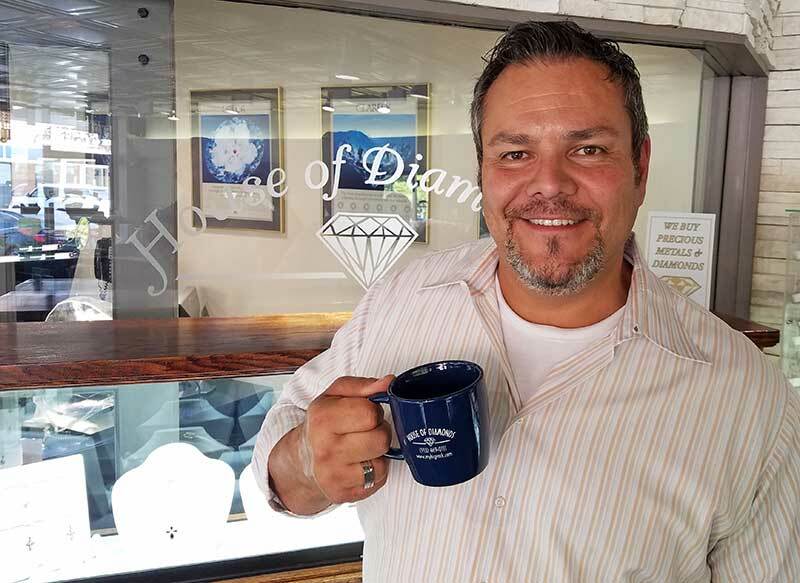 Gene was so excited that we had to take a picture of him holding one of the mugs. They’re a beautiful color of blue and nice and thick. No matter how hot you like your drinks, there’s a good chance our mug will insulate your fingers from the heat.